Freemasonry is not a secret society hiding from the world. Its emblems are known; its meeting places are identified; its history, ethics and rituals are known from books and videos; its charitable works are reported in the media; its records are open to inspection. It neither works beneath the surface of society nor aims to control the world. The negative urban legends about it are quite unwarranted by the facts. • A worldwide brotherhood movement with emblematical rituals. • A fraternal society for male members, paralleled by separate women’s groups. • A network of Lodges with a sense of fellowship. • A charitable and service organisation that helps people in need. • An ethical movement which aims to build human character and a good world. Freemasonry is not a religion; its members must believe in God, though all are free to follow their own theology and practices. Its meetings honor a range of sacred scriptures. It is not “jobs for the boys”: it cares for Masons and their families in time of need, but it does not grant special favours to members or denigrate non-members. It believes in good citizenship and patriotism: every Mason must be a loyal, dependable member of society. It weaves Biblical figures like King Solomon into its rituals and uses Biblical readings and legends which often derive from the Jewish Midrash. It probably began with “operative” masons who built medieval castles and cathedrals out of freestone (hence the name “Freemasonry”). It accepted honorary (“speculative”) members in the 17th/18th centuries when Europe had many movements for social reform. Its history was (inexpertly) researched in the 1700s by a Protestant clergyman, Rev. James Anderson, who also worked out and published Masonic ritual. Many great people have been Freemasons, working together despite their differences. 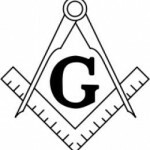 Freemasonry is a stable force in society and was once the center of many men’s lives, though its numbers have declined with the pace and pressures of modern living. This entry is filed under Articles, Freemasonry. WordPress generated this page with 31 queries, in 0.256 seconds.